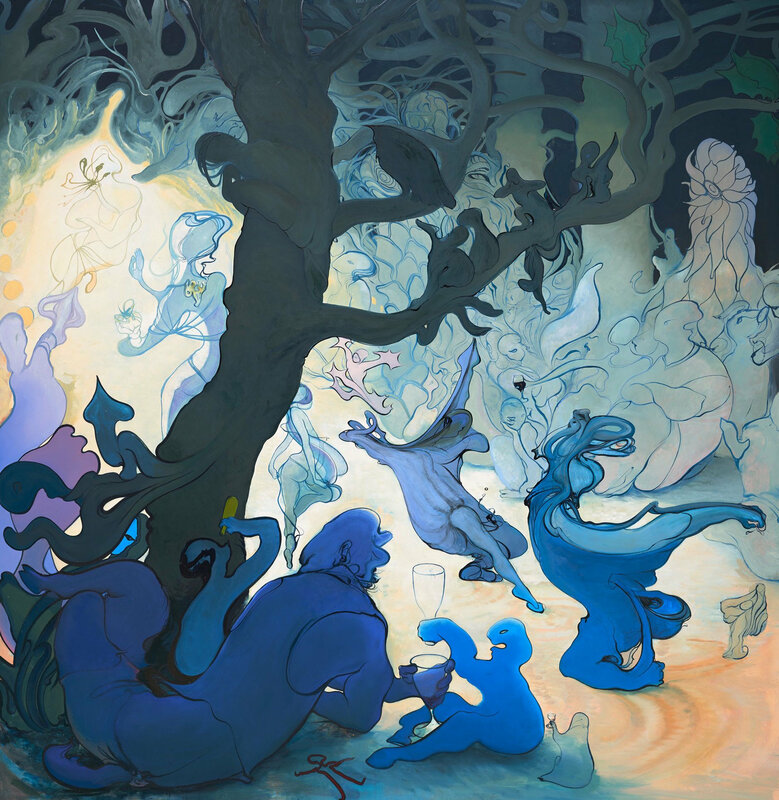 Inka Essenhigh, Fairy Procession, 2016. Oil and enamel on panel. 2019 Invitational Exhibition of Visual Arts. Sunday, March 17, 2019 3 p.m.
Ensemble Échappé will play contemporary classical works by the winners of the 2018 Arts and Letters Awards in Music. A reception will follow in the Academy’s galleries where the 2019 Invitational Exhibition of Visual Arts, with works by 32 contemporary artists, will be on view. RSVP by Monday, March 11, 2019.